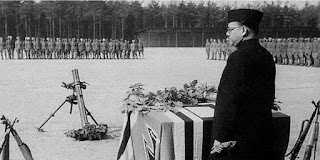 WebPressClub: The Bose Mystery: A 'Planned' Declassification! 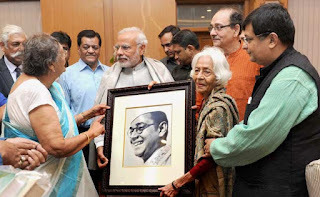 Aitrayee Sarkar ● Kolkata: People are always eager to know the truth behind the classified files on Subhas Chandra Bose available with the New Delhi government for decades. The wait is over with Prime Minister Narendra Modi’s announcement that all those files would be declassified and the process would commence on next 23 January, birthday of Netaji. The announcement has already drawn a lot of attention. Some quarters are sceptic about it while many are in a ‘let’s see’ mode. There is no doubt about the fact that the declassification efforts have been triggered with West Bengal Chief Minister Mamata Banerjee’s decision of making the classified files on Netaji held by the state, accessible to all last month. She has been praised for taking such a bold step while some described it as a major political move ahead of the legislative assembly elections in West Bengal in 2016. Banerjee has actually thrown a challenge to the Modi government by taking the first step. Many may argue that the files declassified by West Bengal contain no significant information about Bose’s fate after the Taihoku plane crash. But those documents have at least proved that Bose’s family members were under Intelligence Bureau’s scanner till the mid-50s. And that itself is enough to raise eyebrows. The Bose family has welcomed Modi’s announcement as they did for Banerjee too. This is the only way that can help them to overcome the shock and trauma they have been carrying for generations now. But the timing of Modi’s announcement is extremely critical. Political analysts say, declassification of Bose files would be the perfect move for the Modi government to shift the country’s focus from the current allegations of intolerance to something more thrilling. They doubt whether at all the declassified files would ever be able to solve the mystery of Bose’s life. The central government’s decision is a well thought political strategy which would pressurise National Congress as well as can ripe good fruits for the Bharatiya Janata Party in the upcoming elections in West Bengal. It would also make Narendra Modi immortal in the history of India as ‘the Prime Minister’ for taking such a brave step. In future he might be termed the most courageous Prime Minister of the country after its Independence. Modi, who projects himself as a strong, determined and fearless personality, would get another chance to uplift his global image with that. Those who are now questioning his sensitiveness after the somewhat ‘political reaction’ to Dadri incident would be no longer in a position to raise their voice. Some quarters have termed Modi’s idea of disclosing the decision of declassification in an exclusive interview with a leading Bengali daily as a master stroke which would make him popular among the Bengalis, a community which perhaps is most critical on him. A survey carried out by WPC in Kolkata after Modi's announcement revealed that people here are curious about those files but doubtful too. They, however, do not want to get over critical before seeing what actually there in those files. Welcoming the announcement 54% of the Kolkata people are still in a wait and watch mood while 34% are sceptic about the outcome of declassification. A mere five per cent are unmoved with it and seven per cent felt that the reality would not change a lot with the said declassification.